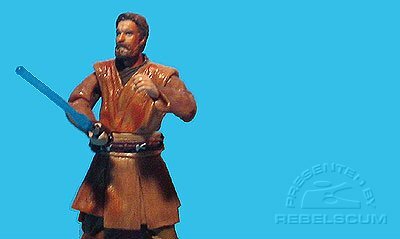 This Obi-Wan Kenobi figure was created especially for Target to celebrate the release of the final episode in the Star Wars saga, Revenge of the Sith. Comments: Obi-Wan Kenobi obeyed his Jedi Master's dying wish and trained Anakin Skywalker in the ways of the Force. Now he is pitted against his former Padawan in a lightsaber duel of epic proportions! 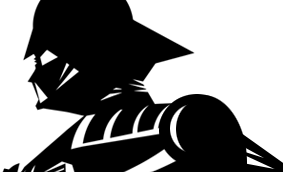 Roll over image above to see Obi-Wan in action! 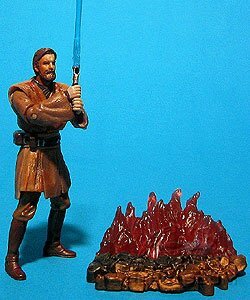 Obi-Wan Kenobi is a repaint of Obi-Wan Kenobi III-01 and features a "Lava Reflection" paintjob and a Mustafar base.